In 2019, the Suffolk Guild will host the competition at the Norman Tower in Bury St Edmunds, on June 15th, ringing Cambridge Royal. See contact details at the bottom of the Home page. 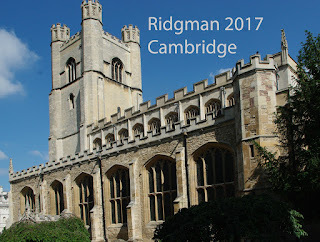 The Ridgman Trophy is awarded to the winner of a striking competition on ten bells, held annually in May or June. The territorial associations in East Anglia (including the Lincoln Guild) often enter teams, and others are welcome as space permits. Badges of participating Guilds and Associations are shown to the right; click a badge to go to the website for the organisation. 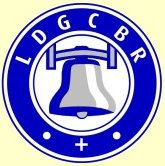 For more information about ringing church bells and learning to ring: About bell ringing and Change ringing are part of the website of the Central Council of Church Bell Ringers; Discover Bell Ringing is a website which includes country-wide contacts with local Associations and Guilds. 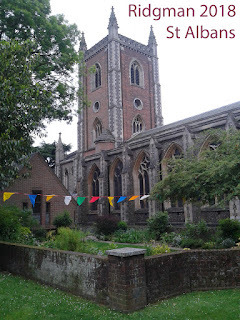 St Peter’s Church in St Albans proved an excellent venue hosted by the Hertford County Association. Seven teams took part with ringing from 1-00 to 4-30, a return to the afternoon format after starting in the morning last year. We were privileged to have Dickon Love and Emma Cundiff as judges, working from the choir vestry, simply listening to and scoring the precision and effectiveness of the ringing. They remarked that these are an easy modern ten, just over a ton, and perfectly suited for the occasion. The trebles may be a little indistinct in the ringing chamber, and there may be minor instances of odd-struckness, but all bells were very clear outside. There had been a good range of ringing with a clear winner. Hertford County Association were clear winners and Richard Sales received the Ridgman Trophy from Revered Dearnley. 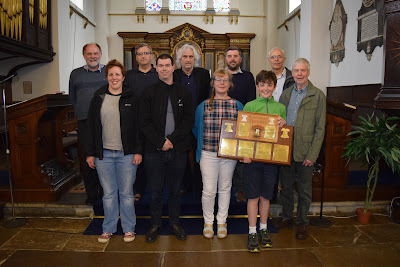 In 2019 the Suffolk County Association hope to arrange the competition, possibly at the Norman Tower in Bury St Edmunds, on June 15th, ringing Cambridge Royal. Full results and notes on Judges' comments are here, band photos are here. Steward's report here, and band photos here. 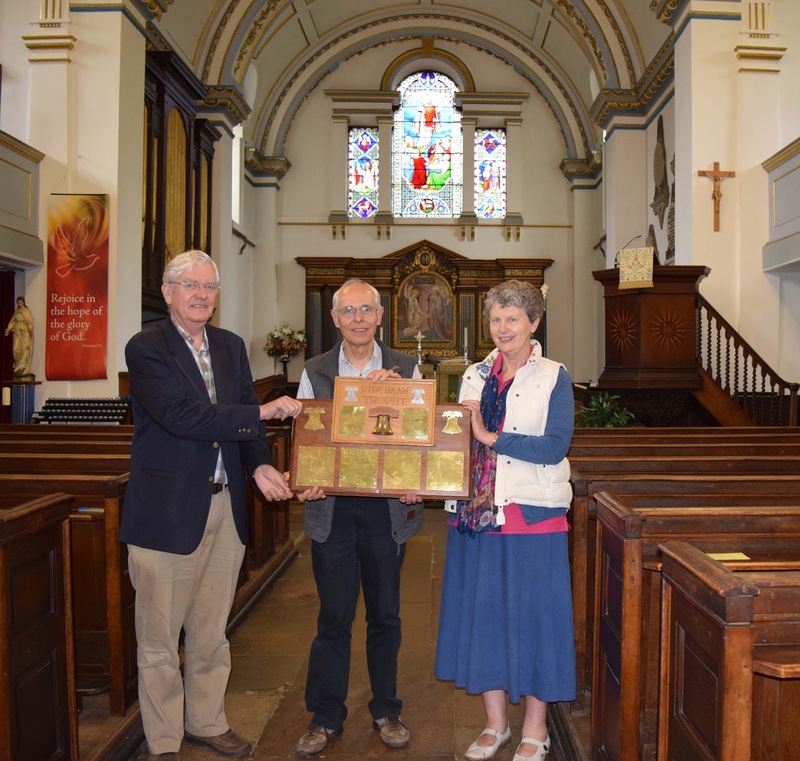 After months of planning and endless emails, Saturday 4th June finally arrived for Holy Cross Church, Daventry to host the 29th Ridgman Trophy Competition. The draw had taken place at Holy Cross Church two weeks earlier during the Tuesday night practice with each band being given a strict start time. By 12 noon all was ready and the bells rung up in anticipation – if only they knew what was in store for them! The band from Bedfordshire started to arrive, followed by Essex and then other bands began to congregate, many sampling the sumptuous teas, sandwiches and cakes supplied by the fantastic team of ladies from Holy Cross Church. 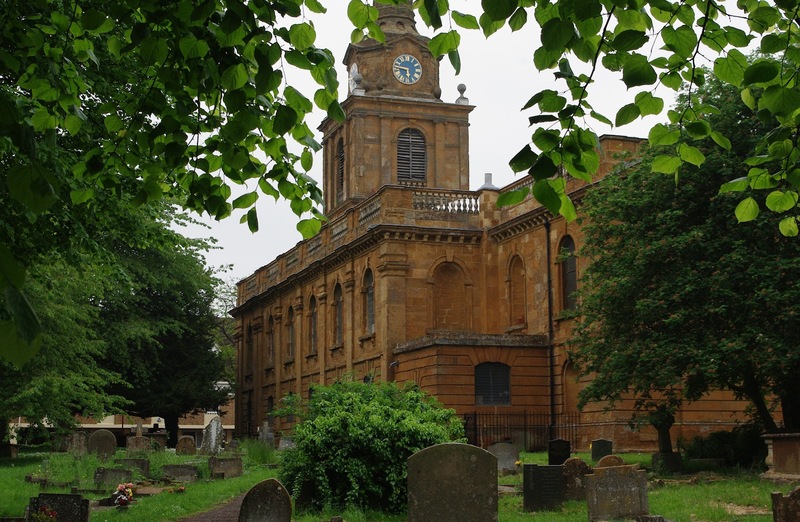 The first band to ring - Bedfordshire - entered the ringing room and began, their ringing was magnificent, I had never heard the bells here at Daventry rung so well, with great gusto and with such a lovely sound. It was amazing – yes, I know I’m a learner but wow, what a shock to hear such ringing! Bands were outside listening too, doing their very own judging and then our own Peterborough band began to arrive. Suffolk rang second, team photos were duly taken and then it was our turn. With the bells, being still loud and majestic the Peterborough band began. How proud I was, these were my people, I knew them all – how brilliant! - but the competition was still on and the bells, oh how they worked, never tiring, never losing their power or sound, absolutely fantastic. Essex went next, they were brilliant and then Ely, oh I’m afraid they were rather good, then magnificently followed by Lincolnshire. Finally Hertfordshire, who really did end the competition ringing on a fantastic level. The day was drawing to its final leg. The committee sat then returned after discussing next year’s competition and as a great treat, anyone who hadn’t rung were invited to ring the bells and ‘grab’ the tower! With bands gathered we all entered the church to hear the results. Peterborough Guild Ringing Master Andy Timms duly thanked Canon Michael Webber for the use of Holy Cross Church, Richard Waddy, Tower Captain, for the use of the bells, the magnificent ladies who laid on the splendid teas and Alan Winter, Secretary for The Ridgman Trophy Competition, for bringing the competition to Daventry. Alan Winter thanked the judges, Jeremy and Anne Pratt, enormously and presented them with gifts. Ely retained the trophy, well done!! Hertfordshire Ringing Master – very keen to return to Daventry after 10 years, bells can be challenging for a striking competition but a lovely sound and enjoyed the day. 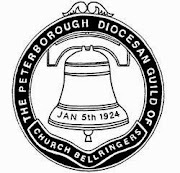 Peterborough Branch Ringing Master (but ringing for Lincolnshire) – a fantastic opportunity to visit and ring the 10 bells; If you can’t enjoy ringing like this then ringing is not for you! Barry Johnson, Captain of Ely Band – most of us were here to defend our position and to win back the trophy, glad to be taking it home, great bells and enjoyed the day. Well, what a day, the bells now hanging silent and resting – they really were magnificent and with Ely clutching the trophy all the bands made their weary way home. 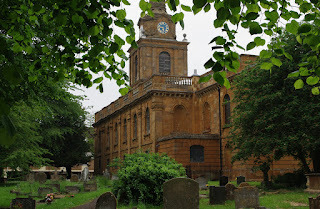 Next year it will be over to Great St. Mary’s Church, Cambridge with the chosen method of Yorkshire Surprise Royal. For me, I would certainly advocate that all learners should come and listen to striking competitions, you hear and learn so much, you can find the drive to keep going through the dark days of clipping bells, leading wrongly, too close, too wide! etc, but you meet so many lovely people, bellringers from all over, it really is worth the effort to get out there and join in. The Steward's Report, by Marj Winter, is here. More photos, including all the band photos are here. Minutes of the committee meeting are here. Date for next year’s diary: Sat June 17th 2017 at Great St Mary, Cambridge, ringing Yorkshire Royal. There is a suggestion to start at 9-00 and finish shortly after noon. 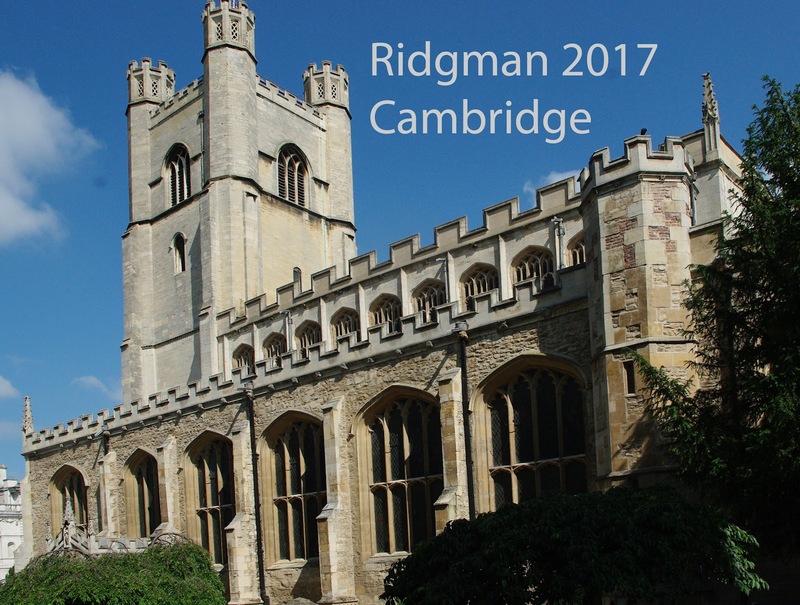 For more information about the Ridgman Trophy, contact Alan Winter (vicechair_at_elyda.org.uk). For queries, comments or suggestions on this website, contact webmaster_at_elyda.org.uk.